Keep bedtime essentials close by with our Elizabeth's Tradition Nightstand with Doors. 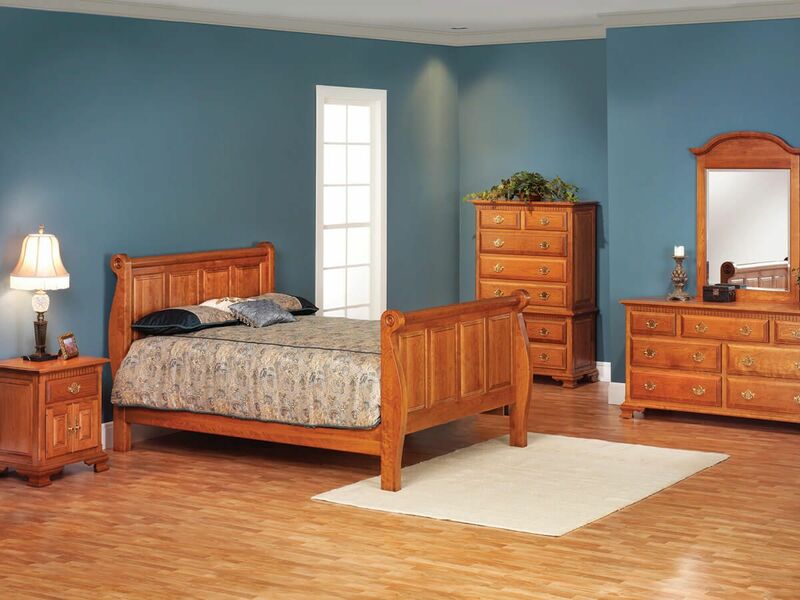 Each is assembled using dovetailed joinery for durability. The soft close slides of our Elizabeth's Tradition Nightstand extend fully and provide a quiet, slow, and controlled closure. Solid wood construction and mortise and tenon joinery protect the integrity of your nightstand through years of practical use. Pictured in Cinnamon Stick on Cherry, the Elizabeth's Tradition Door Nightstand is available in any offered wood and finish.